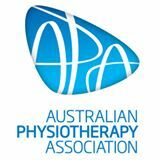 Tailor Made Physiotherapy is a practice in Pennant Hills, Sydney. Our friendly staff are dedicated to getting you better fast, and back to the things that you love to do. We treat the cause of your pain as well as the pain itself to ensure that the injury does not return later. Our goal is to get you back to life, family and sport as fast as possible, to ensure that you can keep doing the things you love long after you have completed your treatment. Tailor Made Physiotherapy Pennant Hills uses HICAPS to process all payments. HICAPS allows you to obtain payment from your private health cover at the time of your consultation. You only pay the gap. © 2019 Tailor Made Physio. All Rights Reserved.